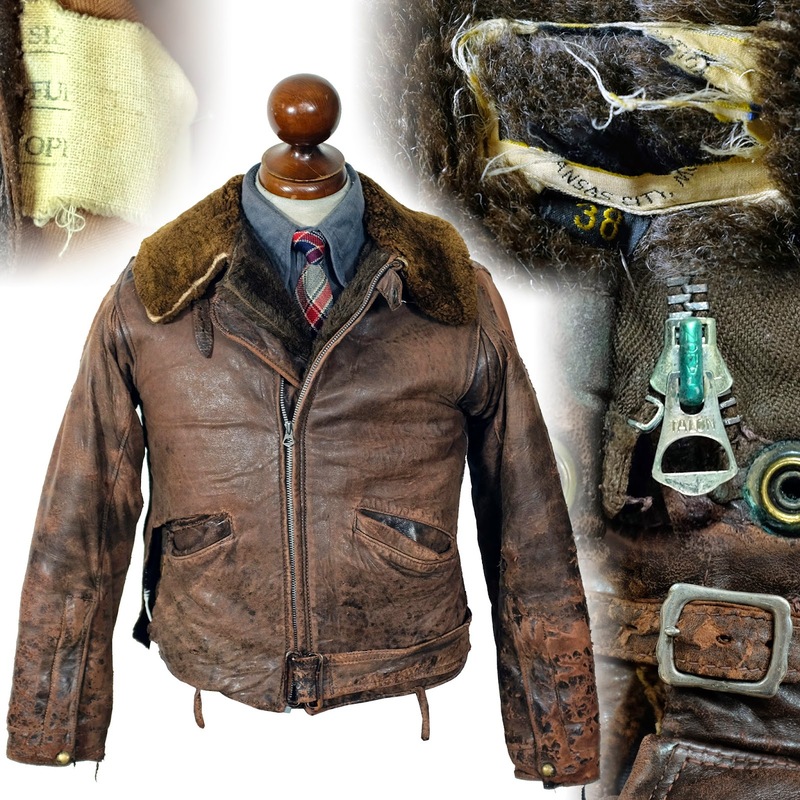 Here's another Aviator style cossack jacket to continue the research I posted on this style several months ago. There will be another barrage of vintage aviation jacket ads coming soon, so keep an eye out. This jacket was made in California and was sold by Montgomery Ward. The jacket is made out of pony horsehide, and has a asymmetrical zipper (Referred to as double breasted in many of the early ads), two zipper breast pockets and handwarmers. The back has a sporty belted back and side adjusters.